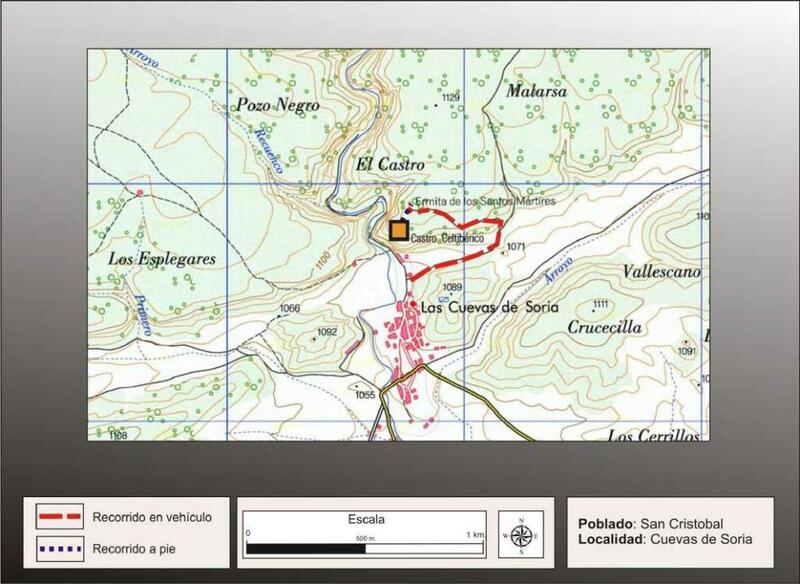 From the town of Cuevas de Soria is a track north of that part of an eastbound ramp that leads to the fort that is easily identified by the state of the Hermitage. 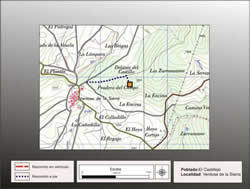 E. Saavedra (1863) collects the news earlier authors such as Lope de Morales and Loperraez, speaking generically of ancient remains, but will Taracena (1941), in his letter Archaeological Soria Province, who established that it is a castro of Iron Age forts including it among what he called "Soriana Castro culture. " 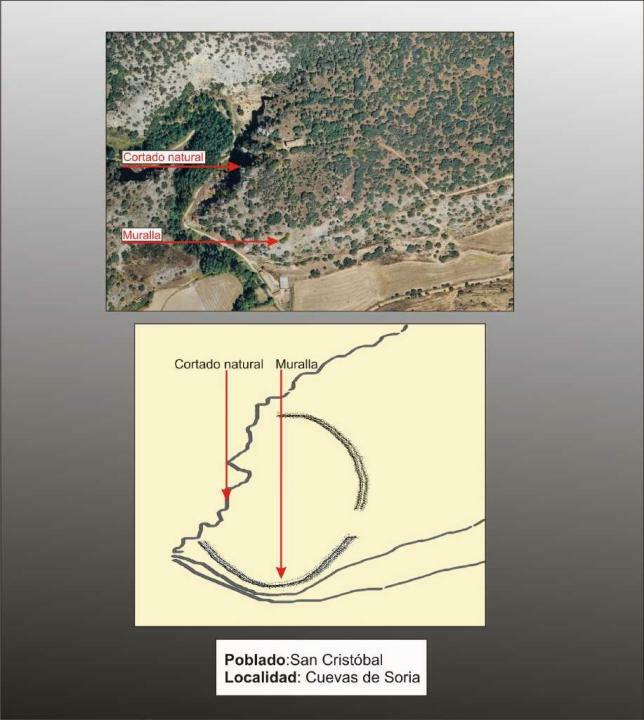 Fernandez Miranda (1972) included it in his study of the forts Soria, revealing the remains of pottery deposited in the Museum Numantino, also included in his study of Bach forts Gil (1985). 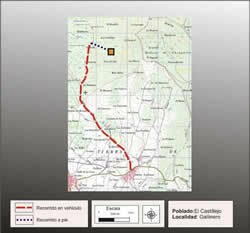 But the most comprehensive reference on this site is included in the work of Pascual Díez Archaeological Charter of the Central Zone of the province of Soria (1991). It is situated on the hill of Castro, under the chapel of The Holy Martyrs and San Cristobal, at a height of 1060mm above sea level and about 20m above the river valley Izana, which runs the West. 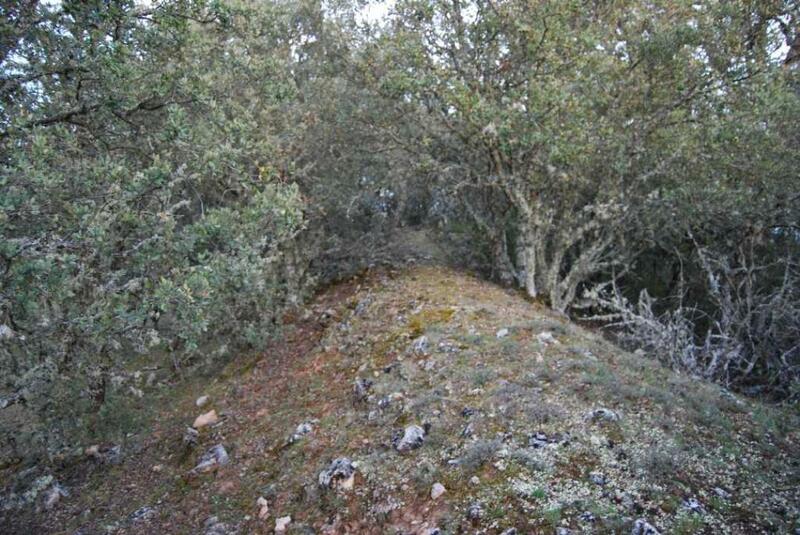 The fort next to the Cube Castillejos Solana would be the southernmost of all the forts in the mountainous north of Soria. 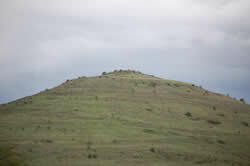 Is artificially defended its south side and east, which is the most easily accessible by a strong wall, which has a length of 93m and a height of 2.50 m. On its west side is guarded by a natural cut. 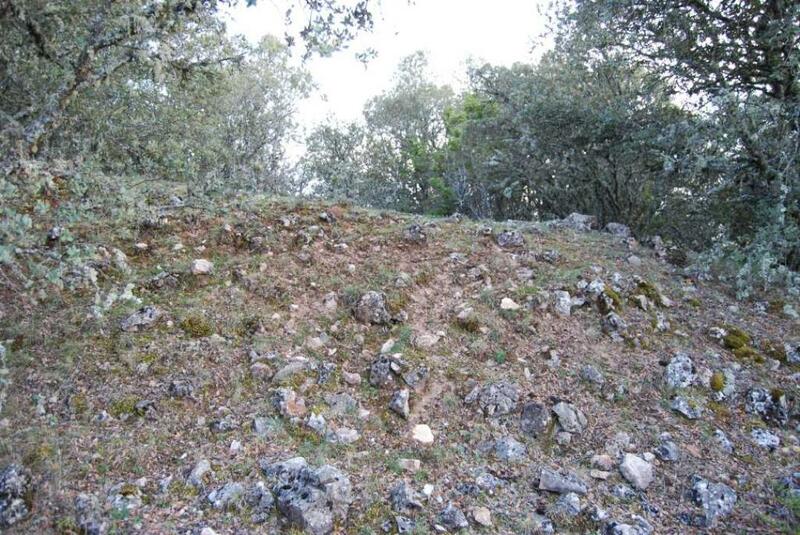 In the interior space it occupies an area of 5000 m2, ceramics were collected by hand typical of the hillforts of Iron Age and scant remains of painted pottery and some Roman sigillata pottery, corresponding to a more recent occupation. In the window of the sacristy of the chapel is inlaid a Roman funerary inscription dedicated to Valeria Titulla of ... years of age, Valeria Ata, 12, ... to his mother and sister took care of it. 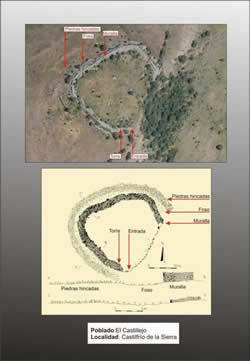 Fernandez-Miranda, M. (1972): The Culture Forts urnfield in the province of Soria, Celtiberia, 43:29-60. Pascual Díez, A.C. (1991). Archaeological Charter. 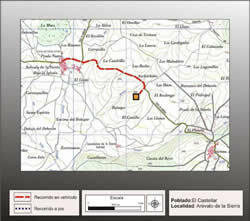 Soria: Zona Centro. Hon. Diputación de Soria, Soria. 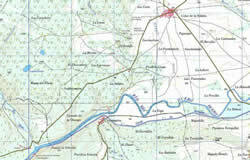 Taracena, B. (1941): Archaeological Charter Spain. 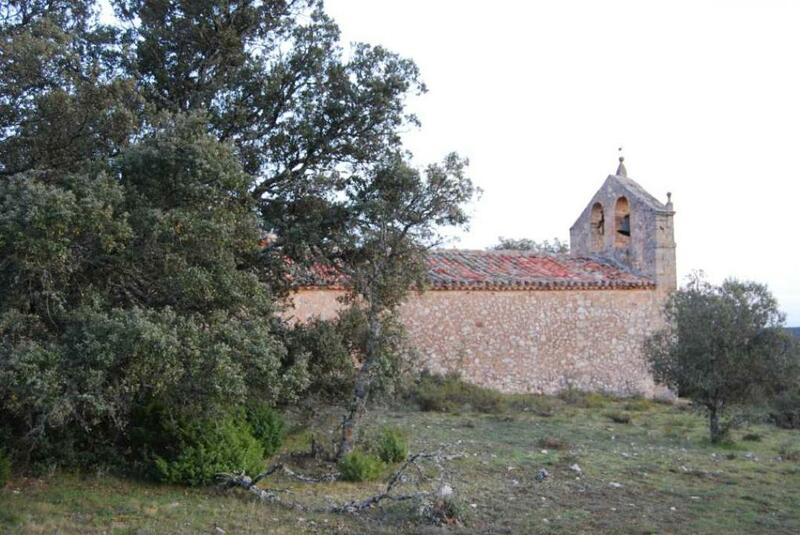 Soria. Instituto Diego Velazquez, C.S.I.C., Madrid.